Rarely has a restaurant impressed me on the first visit the way Tipo00 did. Their meticulously hand-crafted pasta dishes were melt-in-the-mouth scrumptious, and each subsequent visit has been similarly astounding, and well worth the ridiculous wait times. 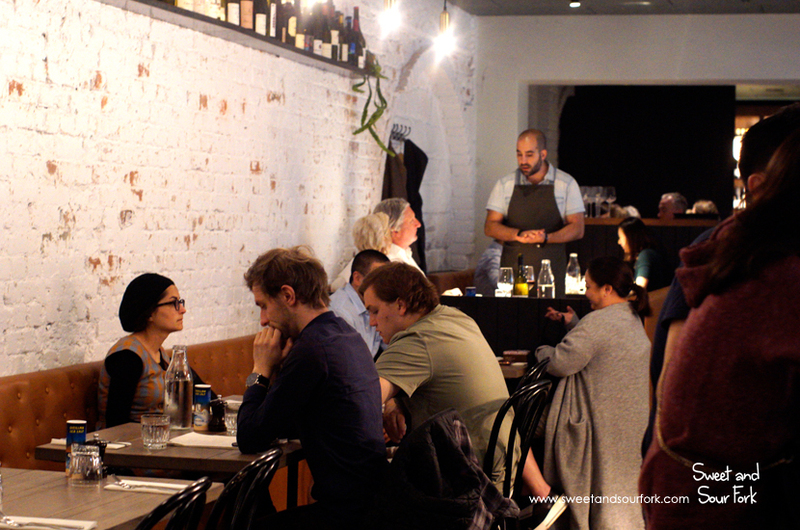 So when the geniuses behind Tipo opened Osteria Ilaria a couple years later, all of Melbourne were waiting with bated breath to see if it lived up to its reputation. As it turns out, we needn’t have worried. Following Tipo’s example, Osteria Ilaria soon snapped up another Best New Restaurant of the Year Award, with accolades coming out of its ears, and queues extending down the street. But unlike Tipo, Osteria Ilaria is not a quaint little pasta bar. 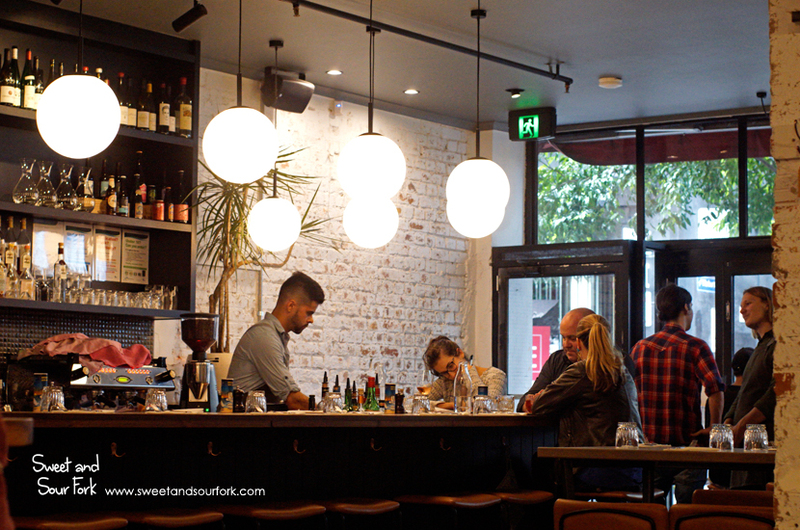 Hot on the tail of the current trend, Osteria Ilaria is an unabashedly European wine bar, with an ambitious wine list, and a succinct list of sharing plates that are regularly updated to reflect the freshest seasonal ingredients. 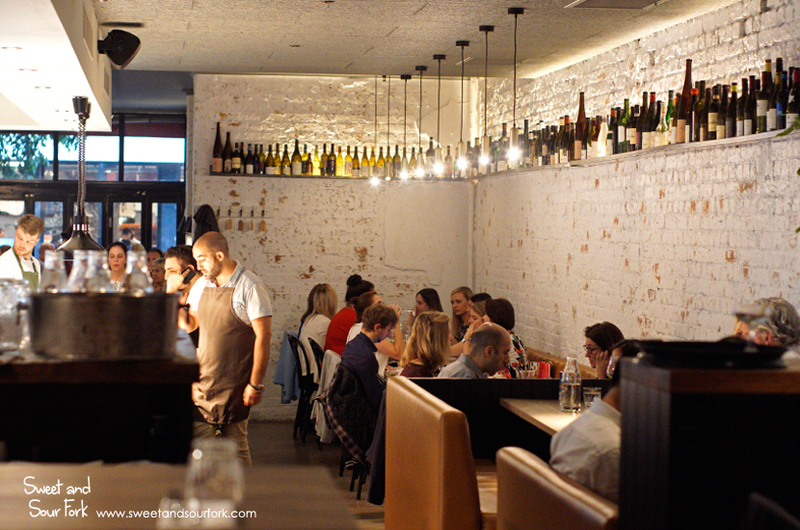 Thankfully, unlike its older sibling, Osteria Ilaria is nothing if not spacious. 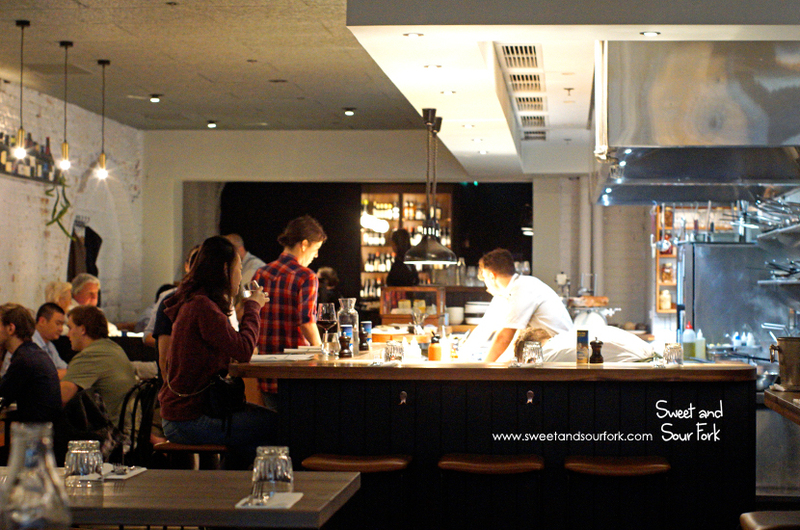 The restaurant extends all the way into the building, past the well-stocked bar, the open kitchen, and all the way into a semi-private dining room at the back. Yet despite its size, Osteria Ilaria remains intimate and cosy, an effect that can at least partially be attributed to the excellent staff. I feel like the bread and butter at a restaurant can tell you a lot, and the warm, anise-studded ciabatta loaf with whipped butter hinted at a restaurant that has its roots in the classics, but is not afraid to experiment and to set themselves apart. 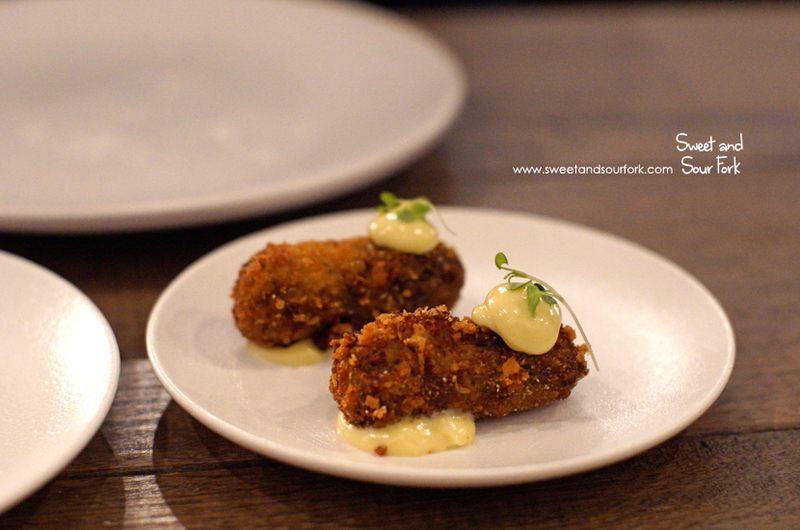 I had all but been ordered by friends who have previously visited to get the Porcini Mushroom Croquette ($4ea), and simply put, it was the best croquette I’ve ever had. The tiny morsel hid an intensely rich, loamy centre, its smooth texture contrasting with the impressively crunchy crumb. It was a little bite of perfection. On the other end of the spectrum was the Cured Rainbow Trout ($18), which was as bright and effervescent as the croquette was dark and earthy. 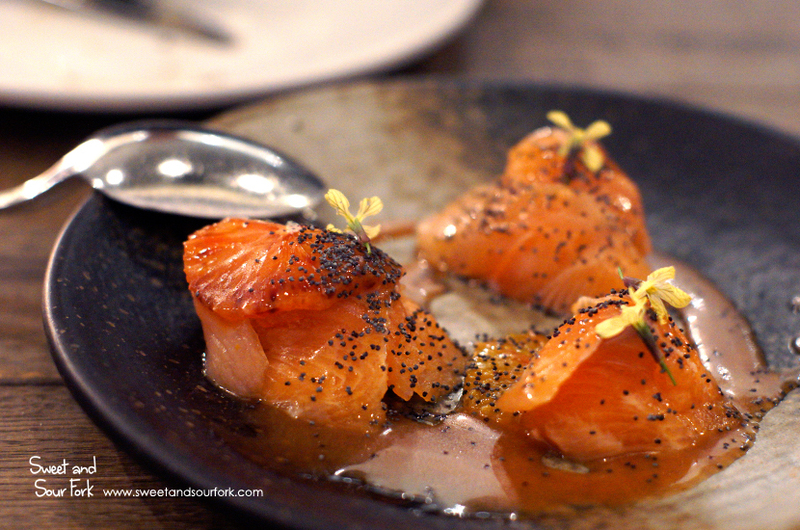 Draped over the plate, adorned only with tender slices of citrus and a crisp vermouth dressing, each bite of fish was fresh and clean, grounded only by the sprinkling of poppy seed. 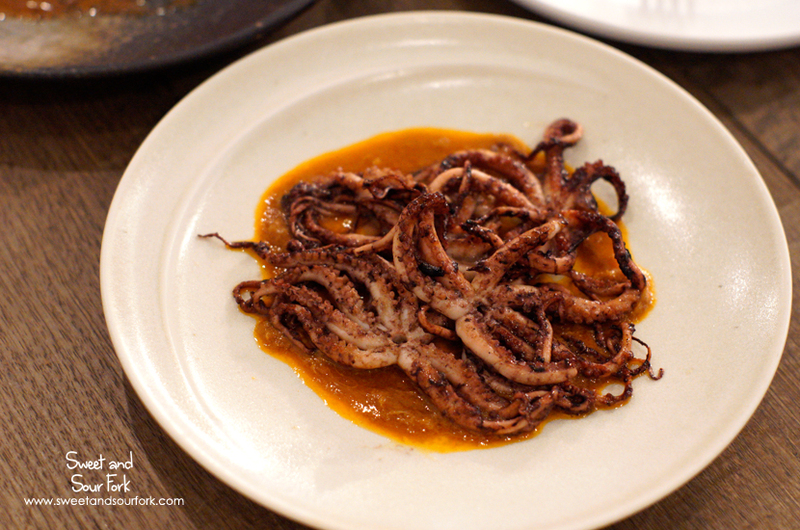 The Baby Octopus ($19) was probably one of the most stunning things I’ve eaten all year. The octopus had been grilled over a wood fire to impart a sweet char to the delicate tentacles, and the accompanying sauce of pureed italian salami – nduja – was bold, meaty, and spicy. This was a simple but flawless combination of excellent ingredients that brought out the best in each other; I may or may not have wiped up the excess sauce with my fingers. Wrapping up the lighter dishes was the Pork Liver Sausage ($18), the flavour of which was surprisingly complex. 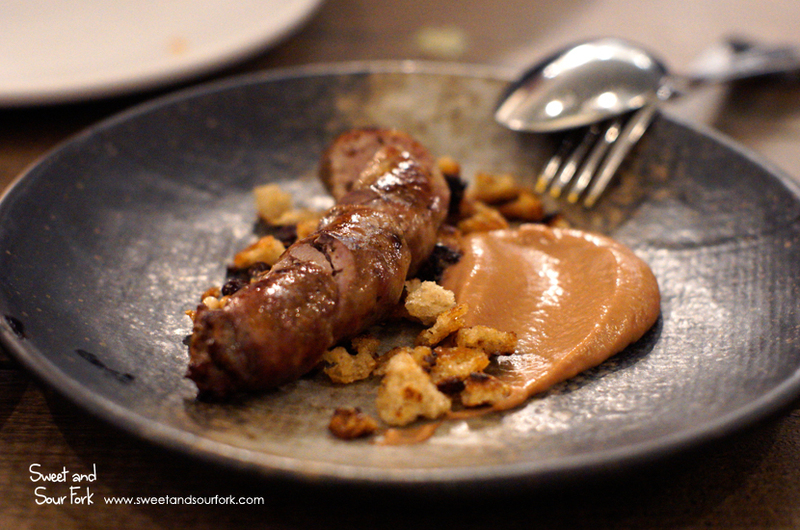 The rich, slightly metallic taste of the offal was mellowed out by the addition of ripened apples, the sharp rhubarb purée cutting through the heavier flavours. Of course, I couldn’t visit the sister restaurant of Tipo and not try any of the pasta, and so I picked up the special of Saffron Farfalle with Spanner Crab ($32). This was really something special. The silky sheets of pasta were pinched into loose bows, and floated in the most elegant broth of seafood and herbs. 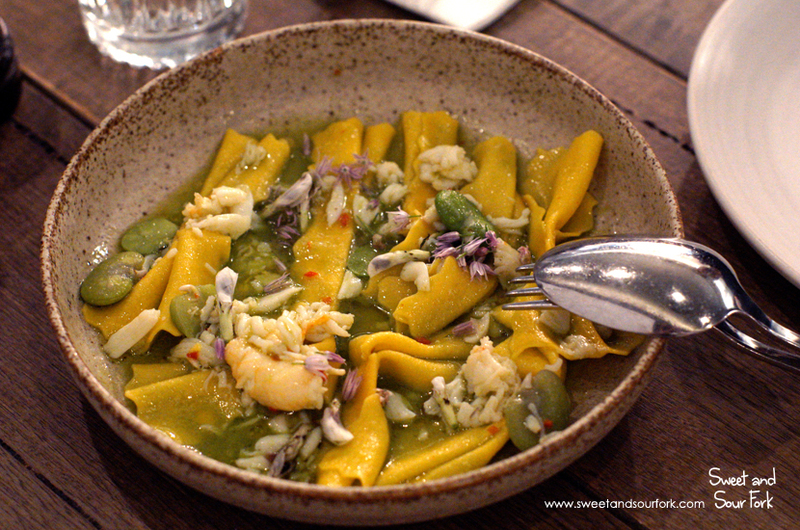 Along with the sweet, meaty broad beans, delicate shavings of spanner crab, and a sprinkling of flowers that were surprisingly peppery, this was a beautiful pasta full of the flavours of nature in Spring. Feeling not quite full but also not in the mood for dessert (for once! ), I decided to tack on an order of Paccheri Pasta ($25), after seeing plate after tantalising plate of it come out of the kitchen. 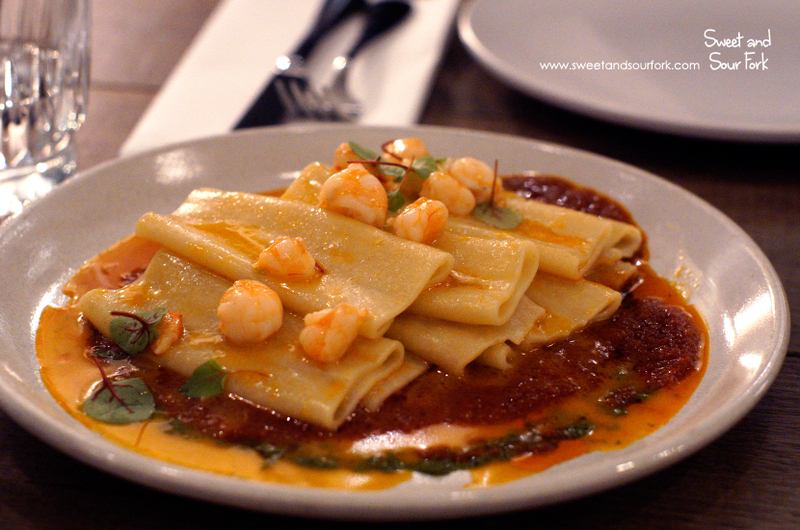 The sheets of pasta were satisfyingly firm and toothsome, its eggy wholesomeness needing nothing but the simple sauce of roasted capsicum and sorrel, though the addition of fresh prawns was certainly welcome. 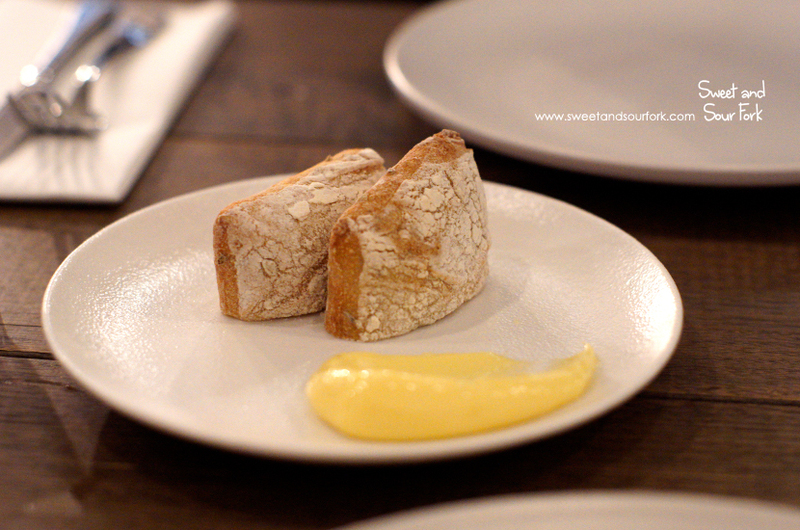 Unsurprisingly, Osteria Ilaria was totally charming. It was with regret that I left at the end of our 2 hour sitting, feeling as if I could’ve stayed all night, eating my way through every dish on the menu. In fact, the only thing I could complain about is the odd progression of the dishes; they came out in a haphazard pace with no discernable order, and we ended up with 4 or so plates within 10 minutes of ordering, before facing a 15 minute wait for our final dish, which happened to be one of the smaller dishes as well. But despite the hectic pace, we never felt rushed, and our waiter was endlessly accommodating, even when we requested to add another dish with 10 minutes left of our sitting. Just like its sister Tipo, Osteria Ilaria is set to become an instant classic. Rating: 16/20 – classic melbourne.